Shameless Shilling Time: Vote and Win! 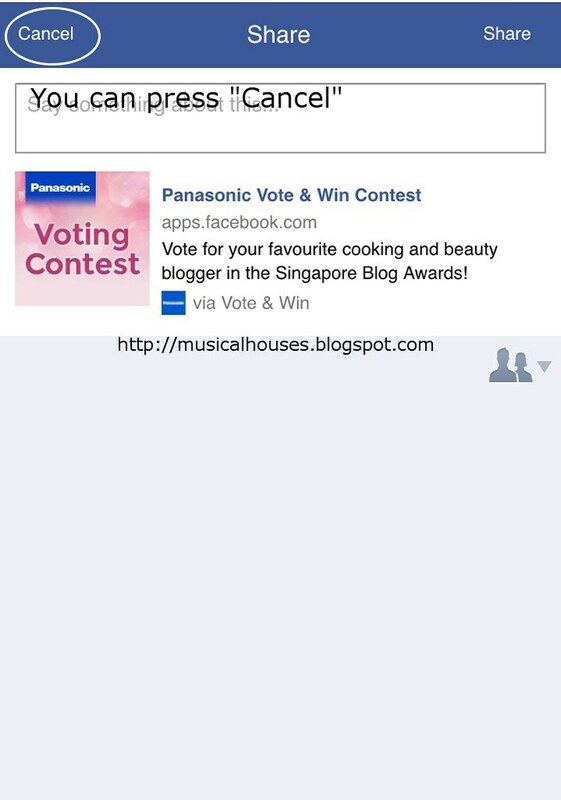 I'm a Finalist in the Singapore Blog Awards! Voting is allowed once per day, and ends 6 July, 3pm Singapore time (just google "time in Singapore" if you're not sure what the conversion is to your local time). All your votes also get entered to a lucky draw to win some prizes, so if you're lucky, you might win something too! I have to tell you though, when you access the voting application for the first time, you will have to register (they ask for basic info like name, email and so on - for those who don't have an NRIC number, any 4 numbers will do), but this is a one-time process, and subsequent votes will skip this process. The voting application will also ask you if you want to post to your Facebook wall about the voting and so on - this is totally not necessary for the vote, and you can just press "cancel" and continue on your merry way to vote. Okay, I will stop rambling on, so that's it - if you want to vote for me, go HERE (Facebook login needed). For those who are a little confused by the voting process, I've made a handy step-by-step guide walking through the voting process! I figured if you're voting for me, I should have the decency to make it as easy as possible for you, hopefully! So if you want to see the tutorial, it's after the jump! By the way - sorry if the screenshots look a little odd, I was actually doing this on my friend's phone, totally being an annoying creeper and going like "Okay, screenshot that step for me!" so I could get the screenshots out! But of course, you can vote on your computer too. It just so happened that a phone was convenient. But the voting process works the same regardless of which device you use! Step 1: Visit the App! First you visit the voting application (it uses Facebook, so if you're not logged into Facebook, it will ask you to do so) HERE. Then, you should see this little welcome sign. 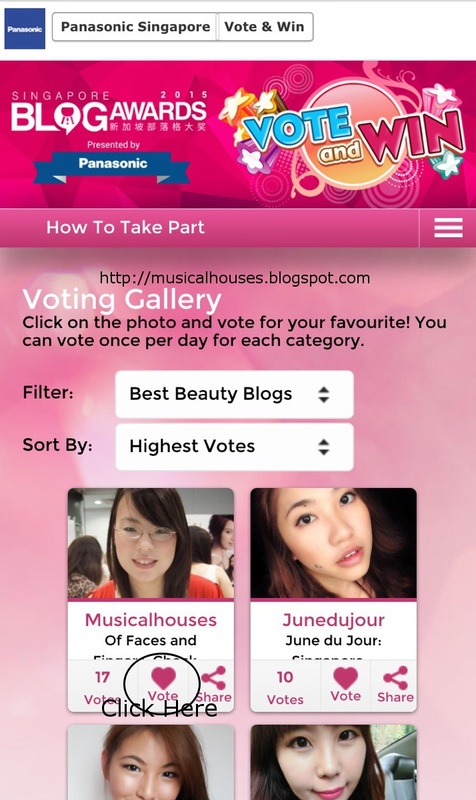 Obviously I'm in the "Best Beauty Blog" category, not the cooking one, so click the appropriate button. 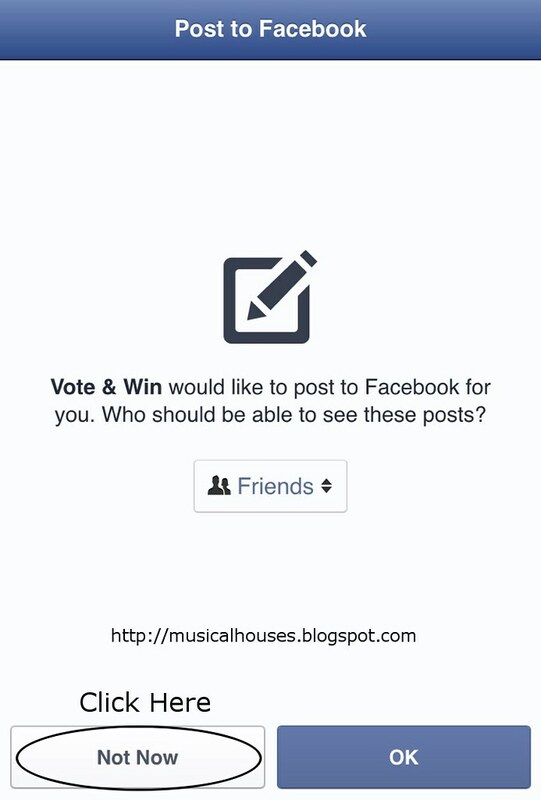 Step 2: Approve the Facebook Voting Application! The first time you access the voting application, it will ask you to allow it. Just go ahead and allow it - don't worry, this app doesn't do anything sketchy. If you want you can edit the settings, but it should be fine. This will only happen the first time you vote, so the next time you vote (say, if you come back to vote again the next day), you won't see this. Just a minor one-time hassle. Step 3: The App will ask you if you want to post a message to your FB wall, you DON'T have to! You can just press "Cancel" and be on your merry way, or if you want to, you can post. The Facebook Application does ask you every single time though, so I guess past a certain point you probably may want to just press "Cancel" for fear of flooding your wall posts. 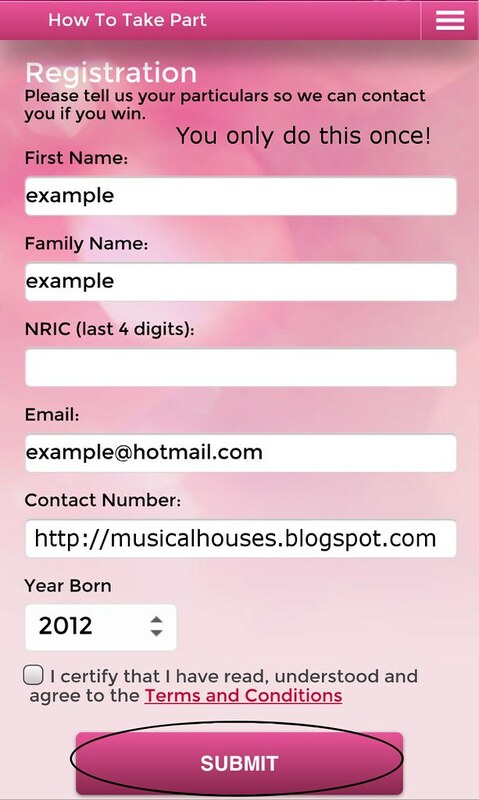 The firsts time you access the voting application, it will ask for your details. You can make those up if you don't have certain info (like an NRIC number, which is a Singaporean thing - any 4 digits will do in that case), but if you want to win the lucky draw, then you should probably put your real details down. The organizers have a lucky draw where they pick some voters to win prizes, and I'm guessing you can only claim your prize if your details are real. Again, this is a one-time thing. The next time you access the voting link, you will skip this step. Step 5: Okay, now you can vote! I personally feel it a little ridiculous that the voting mechanism is such that you have to go through 4 different steps before you can vote, but it is what it is. The good thing is, 2 of the 4 steps are one-time events, so subsequent voting will be much faster! 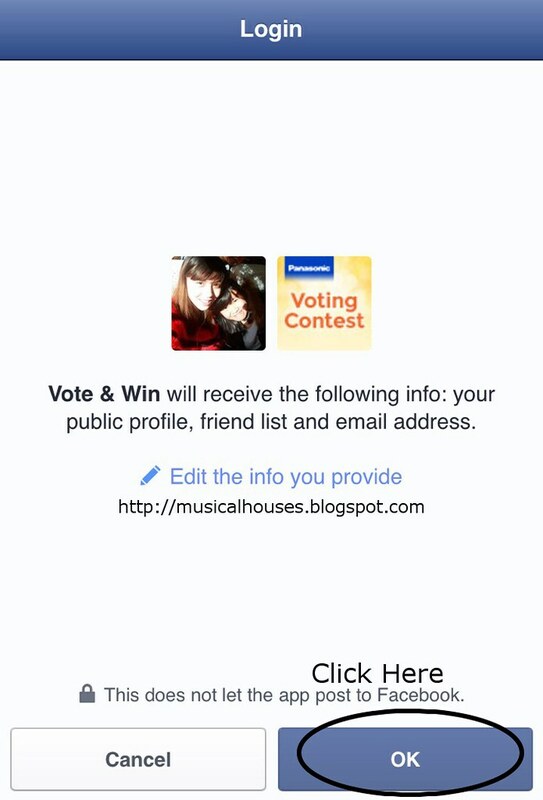 Here, you scroll down the list of bloggers, find me (I'm Musicalhouses, in case you haven't figured), and click on my photo or the little heart button! The order in which the bloggers are listed depends on the number of votes - the person with the most votes gets listed in the first place, the person with the second most votes is listed second, and so on. So if I'm trailing in the votes, you'll have to scroll down a little further! After you vote, the application will ask you again if you want to post a message, and again, if you don't want to flood your FB wall, feel free to just press "Cancel" and go on your merry way. This year, I actually had a couple of friends think that posting to your wall was mandatory, and they almost wanted to not vote for me because they didn't want to flood their FB walls. I had to explain that they could opt out. Whether you opted to post to your FB wall or not, the application will ask what settings you want to have for your FB posts. If you don't want to bug anyone, you can change the setting to "Only Me" or something similar, but it doesn't really matter, because the application will ask you for permission every time it wants to post, and you can always press "Not Now". This is the final page you should see. If you see the bottom right corner saying "Voted", then you know your vote counted! Yay, thank you! Also, it will show my very brief profile, along with a link to a sample post, which is actually my post on parabens in cosmetics and their safety. To exit, just click on the "X" at the top right corner, and you can close the page! Whew - that is quite a lot of steps to cast a vote I know, so thanks in advance! I swear it doesn't take this long to vote, because each step only takes a few seconds, and you just make a tap or click to go on to the next step. I know reading these kinds of shilling "OMG VOTE FOR ME PEOPLE PLZZZZZ" posts can be really annoying, so thanks for sitting through this little tutorial, and I promise this will be the only post I make on the blog about the voting! 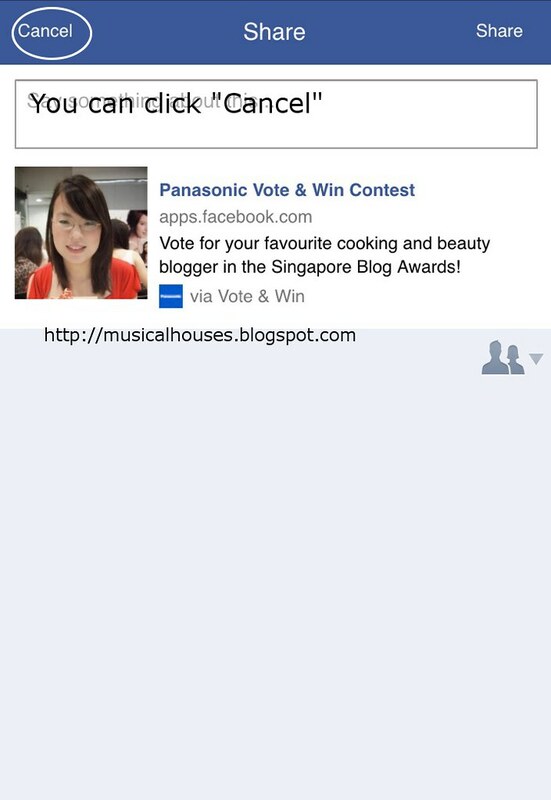 So, if you want to vote for me go here: http://apps.facebook.com/panasonic_sg_vote/, and thanks in advance for your kindness!